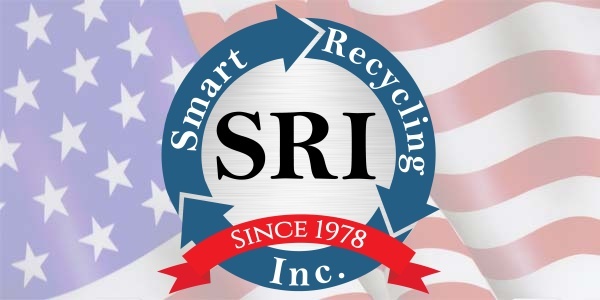 Frequently Asked Questions - Smart Recycling Inc.
Will Smart Recycling provide the size and number of containers necessary for collecting scrap? Not only does Smart Recycling furnish containers for continuous generated scrap, we will also provide custom sized bins of any size to accommodate handling and sorting needs. How are the scrap metals accounted for and weighed? Smart Recycling offers each customer the choice of weighing the materials in house, or providing State Certified Weight Certificates which can be verified. Each bin used for collecting metals has the tare weight clearly marked upon it. Once the accounting of weights has been established and certified, a scrap settlement for the scrap metals purchased will be issued along with a check or cash. How is the price per pound established and maintained for present and future purchases? All metal values are established upon market conditions daily. The method most used by Smart Recycling is based on the published Metal Market Report found in the American Market Journal; which may be provided if requested. Using this report as a guide, an agreed upon margin of plus or minus published prices can be set for all future purchases. If a request for service is received before 10:00 a.m. of any weekday there is a very good chance of receiving same day service. However, all service calls received will be fulfilled no later than next day guaranteed. Special need situations are handled expeditiously. It is solely at the discretion of the agent representing its company, normally, payments are made within a thirty-day period of receiving metals. However, Smart Recycling will pay for all settlements within the time frame chosen by our customers. Will you provide outside labor or equipment to us for special clean ups or dismantling projects? Yes, Smart Recycling has a full, service staff, including enough equipment to handle almost any job anytime, anywhere. Absolutely, Smart Recycling prides itself on the past and current relations serviced, we treat our customers as our business partners. Salvatore J. Russo established Smart Recycling as Russo Metal Company in 1978. Back then the focus was strictly industrial scrap. As time went on, the recycling division was added, and after that surplus sales, then Dumpster rentals. In 1995 Russo Metal Co. was incorporated under the name Smart Recycling, short for Scrap Metal And Recycling Technologies.